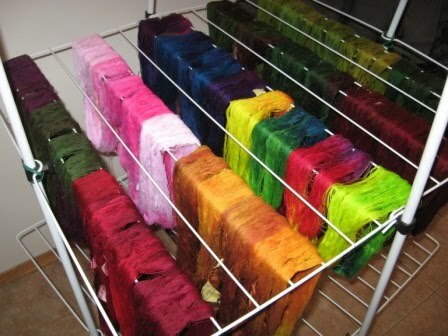 Here is my ten newly dyed threads drying. I have now started to wined up the thread so that I can sell it. I love these photos with all this colour. I will be keeping some for myself. 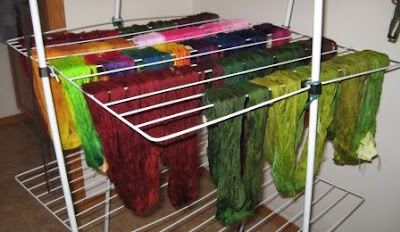 I dye one or two skeins for myself of each colour. All of the thread is washed by hand so that the thread does not tangle. I like to have it soak in fresh water over night to be sure I have all the extra dye removed. If the water is coloured in the morning, I risen it out more before dying. Silly me. 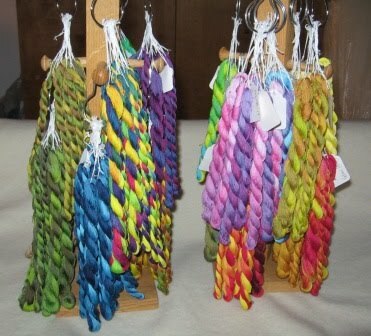 After the thread was wound up into skeins, it is placed on a shower curtain ring and hung on the display tree. 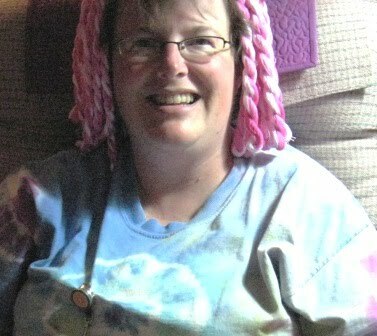 I placed one set on my head and my son took a photo (sorry it is dark, his finger was over part of the flash). I think it looks like hair ringlets. You must think I am nuts first snow dyeing and now this. Ha Ha good to laugh at our self's sometimes. Here is the thread I had done before, all hung on my display trees. The new thread will double what I have here and the thread trees will be twice as bushy. I still have lots of wining to do this week. SO AWESOME CATHY! I LOVE THE NEW HAIR DO! You have gotten me thinking I need to do some more dyeing....next week. 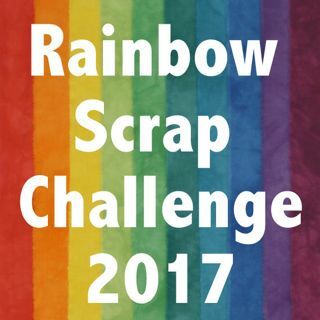 HAVE A GREAT time at Quilt Canada and SELL LOTS!! !